This blog post highlights the concept behind Automation framework which is delivered part of BI 4.2 SP05. When we developed the Automation Framework, we knew that there is a little bit of learning curve required. So we would strongly recommend you to go through the terms used and concept before using the application. Following are some of the terms you should get familiarized. Workflow Template: A logical group of task templates ordered in the required sequence to achieve the outcome of a workflow. It is saved without input parameters. Workflow template can be reused as many times as required. Scenario : An executable entity which is created by grouping single or multiple workflow templates in the required sequence. It is saved with input parameters. 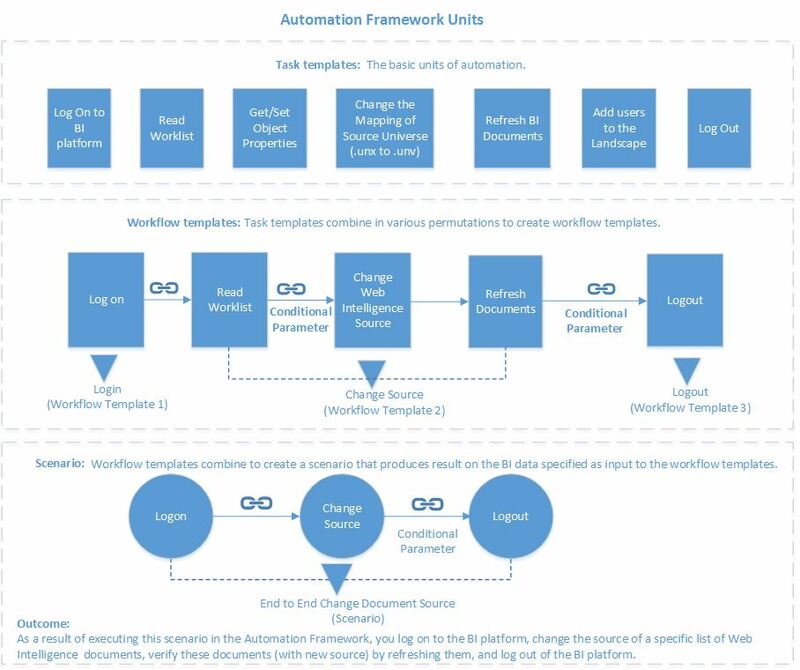 Automation Framework comes with 3 layered approach (Task Template, Workflow Template and Scenario) to offer lot of flexbility, reusability and ease of use features. You can drag and drop the required workflow you want, fill in input parameters, create scenario and execute it. Based on your skills, you can use the framework in different ways. . If you have less technical skills, you can straightly create scenarios using existing Workflow templates provide inputs , save amd execute the automation scenario. 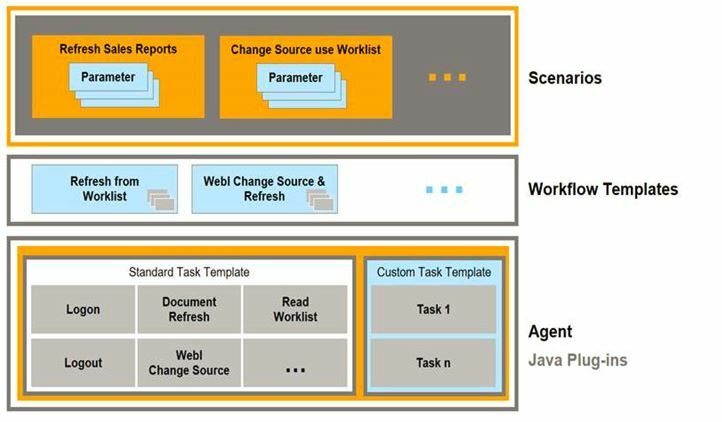 If you have technical skills, you can create also custom workflow template using existing task templates with required sequence & use these Workflow templates in Scenario he create and execute it. If you have developement skills, you can also develop task templates & plugin to Automation framework. You can use the newly created tasks for the creation of Workflow Templates. Previous Are you a UK multinational company with HR data in Success Factors…? Then you’d better read this.